From a little boy to his Godfather, this mug includes both their names with a cute poem about the joys of having a wonderful Godfather to help guide him through life. 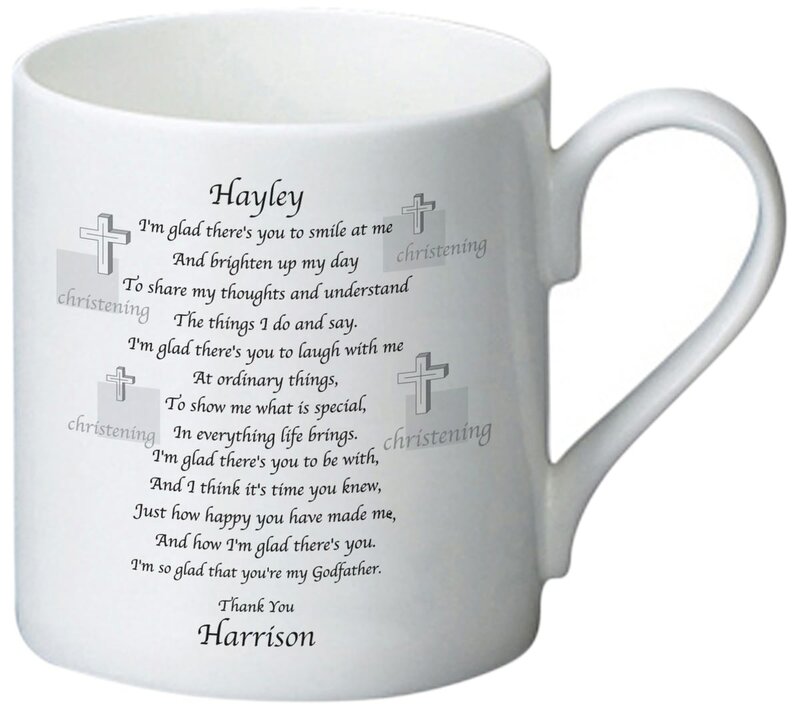 This mug is simple yet heartfelt and makes a unique gift for a relation that's often forgotten on gift-giving occasions. Whether they take it to work or use it at home, each time they have a hot drink they're sure to smile at this thoughtful present.